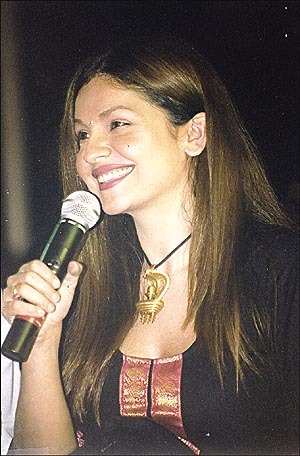 EXPECTEDLY, many reports and articles have appeared on the 46th National Film Awards of India, but strangely, hardly any writer has cared to appreciate Pooja Bhatt. This talented young actress turned producer walked away with the coveted Nargis Dutt special award for Best Film on National Integration for her own production, Zakhm, in which she also acted. That this ambitious, enterprising young woman has grown and matured in stature as well as histrionics, is a indisputable fact. At the same time, Bhatt (inspired by daddy Mahesh?) has proved beyond doubt that she knows the intricacies of filmmaking and is more than capable of getting her movie message across to the viewers  however harsh and hard as it may be. Zakhm embroiled in censor hassles and controversy, has also won Ajay Devgan his "Best Actor" award. Hes thrilled... but Pooja isnt! "I am happy, of course, but then, Ive only started out to do what I really want to  infuse mainstream, commercial Hindi Cinema with content and socially relevant messages. Why on earth should the Censor Board object to that, huh?" That, Ms Pooja (Crusader) Bhatt, is something we shall never really find out! Imagine, a celebrated filmmaker like Yash Chopra being left high n dry by one of his favourite leading ladies... and opting, instead, to do a picture with an arch rival! Sounds crazy? Sure it may, but it is true. And the suddenly fickle heroine is none other than Sridevi, who has opted out of Chopra Saabs much hyped, new project  Mohabbatein  to sign on for showman Subhash Ghais Yaadein! Like, hey! Whats the big deal? Nobody walks out of a Yash Chopra movie (especially when the male co-stars are likely to be Amitabh Bachchan and Shah Rukh Khan)... and prefer playing the role as secondary of the wife of Jackie Shroff while youngsters Hrithik Roshan and Kareena Kapoor gorge the footage! Right? This is one poser that even seasoned Chopra Saab must find too fresh! Looks like were in for a solid pile of secret agent stuff, if the films being currently planned are any indication to go by. A number of producers are (almost) literally flogging their writers n scripters to churn out stories with the said, murderous motif! Obviously, they think they too, can make a hit, grossing grisly like Pierce Brosnans The World Is Not Enough! Some of the heroes whove been approached (with hard, crisp cash) are Sanjay Dutt, Akshay Kumar, Akshaye Khanna, Sunil Shetty... and tailender Shah Rukh Khan. Will they bite at the bait? Ill try to let you guys know for sure next week, okay? To begin with, we from the Fourth Estate thought it was merely a whacky, wild rumour. But then, knowing the (unique) idiocyncrasies of Sushmita Sen, we decided to hang on awhile before making a formal statement about her alleged, latest obsession  imported canines! Now, if you please, Sush is known to be a doggie lover (no pun intended, folks!) She already has quite a cute collection of those hairy creatures on four legs. They bark, but dont bite. However, now things at her pad are going to be different. You see, Sush has actually imported over half-a-dozen pups from various, overseas agencies who promise prime pedigree. And these Iil ones are supposed to bark less and bite more. Then what, I very much want to know, is the idea behind naming them "Angel", "Cupid", "Cuddles" and "Sho Shweet", huh? Watch your ankles, peoples!